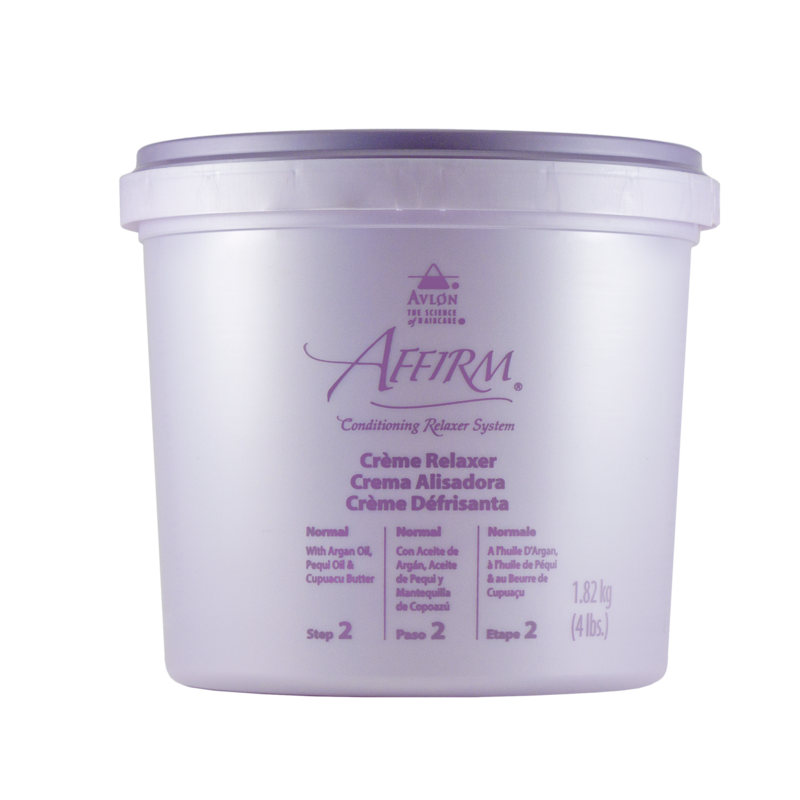 Affirm Conditioning Creme Relaxer with Protecto conditions the hair before, during and after chemical processing as part of an innovative four-step relaxer system. • Leaves hair silky-straight and well-conditioned for free flowing, soft silky hairstyles with body. • Hair has a healthy-looking appearance. • Hair is easy to comb and prepared for any type of styling. • Hair looks radiant with lots of shine or sheen. • Original formula is for stylists with a fast relaxer application technique. Control formula is for stylists who prefer a slower application time.